Since my first explorations of editing video caption files in a text editor last week, I've learned quite a few ways to improve the process. I found a free, cross-platform Open Source tool, Aegisub, for editing the captions. It is particularly helpful when the timing needs to be adjusted, and its use is fairly intuitive. It beats working in Notepad or Microsoft Word by a long shot. The resource file for the filter settings (MQRES) and some sample cation files in English can be downloaded here. 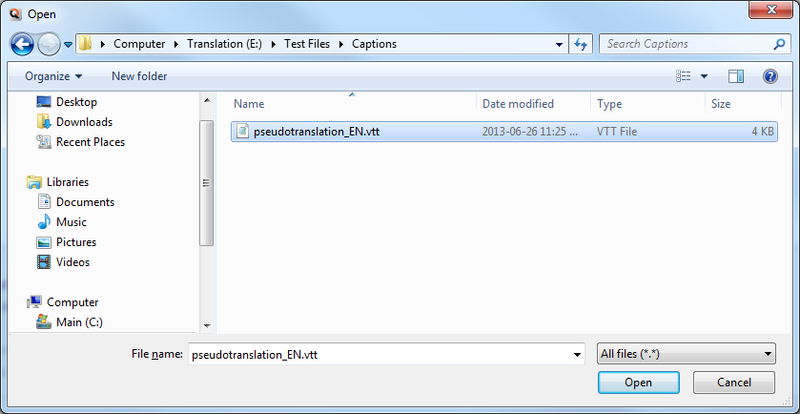 OK, but there is no Video captions filter configuration in memoQ. 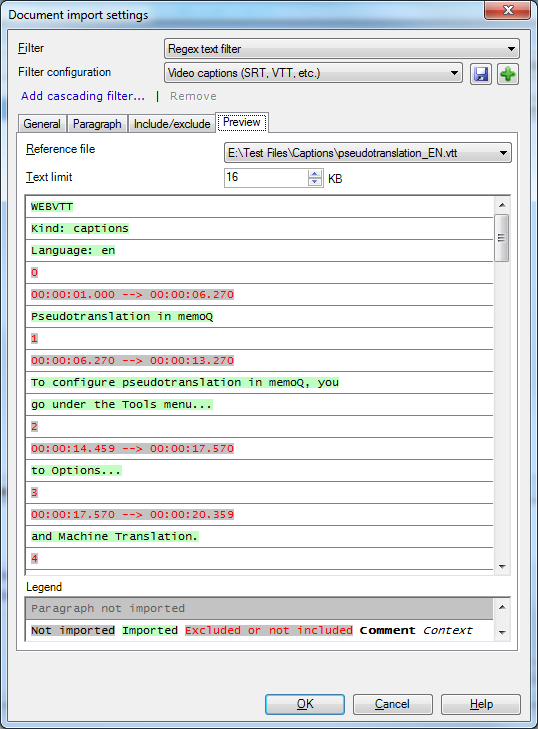 I downloaded VideoCaptions.zip, and it really has a RegexTextConverter#VideoCaptions.mqres file, which I suppose is the memoQ filter, but how to use it, or make it seen by memoQ? 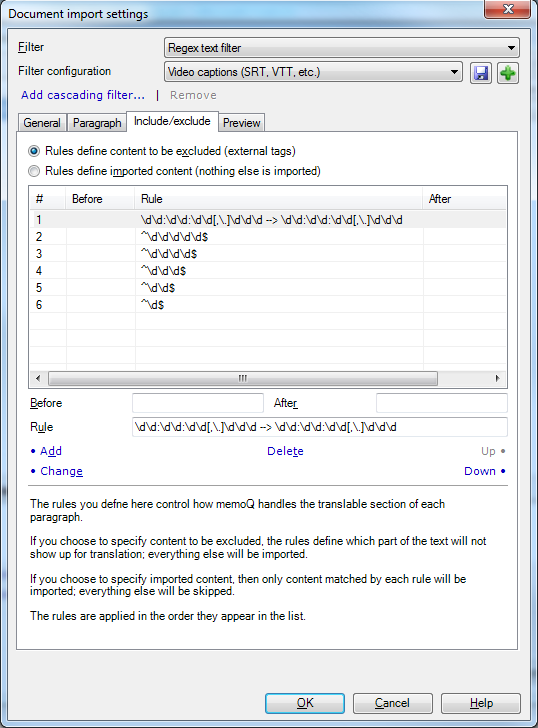 Import the filter configuration, then import the file to memoQ, set the Regex text filter and the particular saved configuration you imported for that. How is possible to import filter configuration? I tried several ways, but unsuccessfully. Use the relevant section in the Resource Console. can you help me import file srt on notepad in detail ? I'm sorry, I do not understand what you are asking. In the MemoQ menu there is a resource console option. There, in filter configuration,you have to import the mqres file. You can also upload it into a MemoQ server if you work in collaborative environment. Then, when you have the filter in place, you have to import files through the 'Import with options' link. There you can configure filters to be used with the particular files to be imported. How to make a filter to show me what is between apostrophes only? In this particular case I would use the JSON filter. BTW, those are not apostrophes, they are quotation marks. 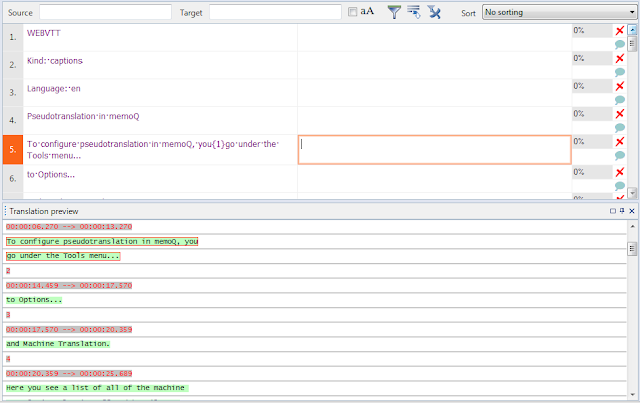 I am following the rule that you presented above, but my .srt uses a "comma" instead of a "period" after the timecode and I don't know how to change the rule so that it would work in memoQ. The subtitles below are some examples. Can you help me? It works! Very useful workaround, thank you Kevin!